It took a single punch to spur a city into action, but the blow to Thomas Kelly was far from a one-off. The man accused of murdering Kelly, 18-year-old Kieran Loveridge, allegedly assaulted three other strangers in Kings Cross on the night of July 7. 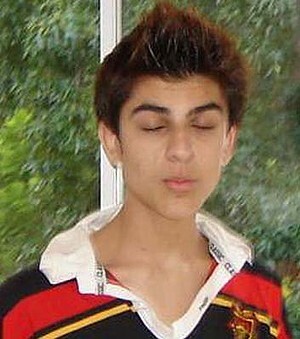 When he appeared in court last week, a 17-year-old friend shoulder-charged a cameraman, knocking him unconscious. On Monday, it emerged that Loveridge’s cousin stands accused of a 2010 rampage that began with the bashing of a grandmother and ended with the stabbing death of a teenager. At a committal hearing it was alleged Corrie Loveridge told his friends he ”wanted to stab and kill someone tonight”. Across Sydney, it is an increasingly familiar story. This week’s police media alerts included a 19-year-old and a 20-year-old arrested for stabbing a man in Campbelltown, a 20-year-old man arrested for assaulting a police officer in Cronulla, a teenager stabbed at a Parramatta bus stop and a 22-year-old man arrested for assaulting a 19-year-old man and headbutting a 21-year-old woman outside a pub in Windsor. Why are some young men so angry? Psychologists speak of a lost generation of teenage boys with little engagement or purpose in life and a worryingly blase attitude to violence and authority. Police took legal action against one in 10 18-year-old men last year, a slight increase on previous years. Crime rates have declined in almost every category over the past decade, but assaults remain stable or rising slightly. It is estimated two-thirds of assaults go unreported. For teenage boys, violence has become a ”sport”, says Father Chris Riley, the founder of Youth Off the Streets. The latest ”game”, he says, is for groups of men to board trains and see how severely they can bash a lone commuter before he can escape at the next stop. Experts say this culture of anger and casual violence is the result of a toxic confluence of factors, among them increasing alcohol intake, the breakdown of the family unit, the normalisation of violence in popular culture and a show-off culture fostered by social networking. There is a typical profile of a violent teenager, says Professor Paul Mazerolle, the director of the Violence Research and Prevention Program at Griffith University. He often has an absent father or a violent one. He mimics those traits or adopts his idea of masculinity from Hollywood and from his peers. He is often disengaged from school or work. He feels he has little to contribute to society. He is disconnected from the structures that might lead him away from violence. Two other factors have become part of the mix. One is black-market guns. ”The difference between a serious assault and a homicide is often access to a weapon,” Mazerolle says. The other is a growing emphasis on fitness and working out, influenced by the subculture of amateur bodybuilding dubbed ”aesthetics” by its poster boy, the late Eastwood entrepreneur Aziz ”Zyzz” Shavershian. 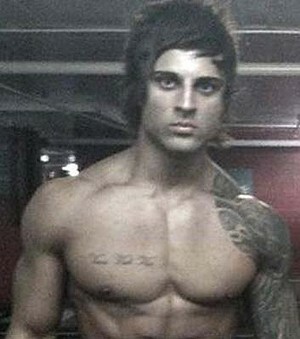 Zyzz, with 300,000 Facebook ”fans”, died last year after an apparent heart attack in a Bangkok sauna. Seizures of steroids and hormones increased 106 per cent in 2010-11 on the previous year, the Australian Crime Commission’s data show. Anecdotal evidence suggests the burgeoning industry has fostered ”roid rage”, as scores of pumped-up, amped-up men roam night-time hotspots. Carr-Gregg says the frontal cortex, which controls impulsiveness, develops fully in males only in their late 20s. ”His body and physical strength have outgrown his brain. On top of this swirling mix is alcohol consumption. More than half of boys aged 15 to 17 drink alcohol and the proportion of 12- to 15-year-olds drinking at risky levels has doubled since 1990. A recent study by the Australian Institute of Criminology found the median number of standard drinks consumed by young men arrested for assault on a Friday or Saturday night was 22. Alcohol increases bravado and distorts perceptions. The tiniest thing, such as a spilt drink or a purposeful glance, can set a man off. For one 19-year-old who spoke to the Herald, it was being refused entry on a bus because he was drunk. He turned around and put his fist through a glass shopfront in Ryde. Writing on The Conversation website this week, a University of Western Sydney criminologist, Stephen Tomsen, said the crackdown on licensed venues in Kings Cross in the wake of Mr Kelly’s death would do little to curb ”the monoculture of aggressive heavy drinking in a night-time economy”. It will come as cold comfort for the parents of Thomas Kelly, who continue to turn on the bedside lamp in their son’s empty bedroom every night.